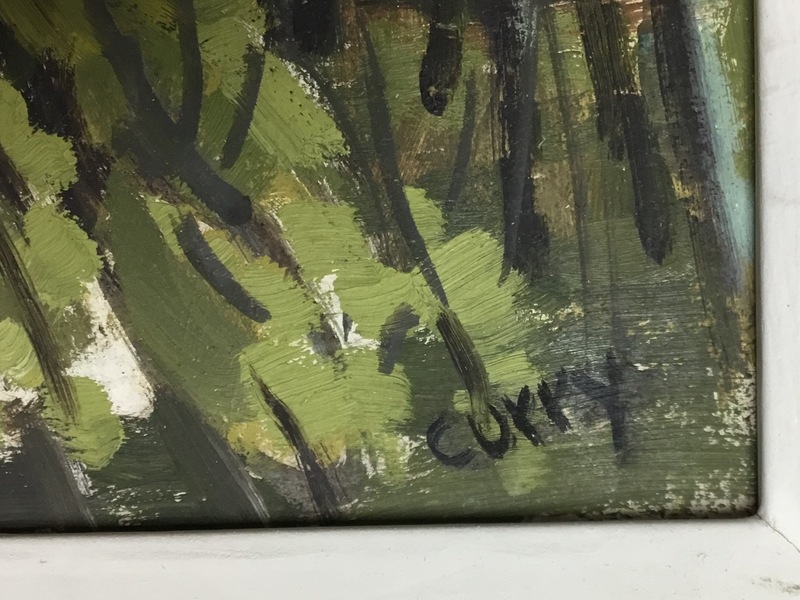 Original oil painting by Ethel Curry. 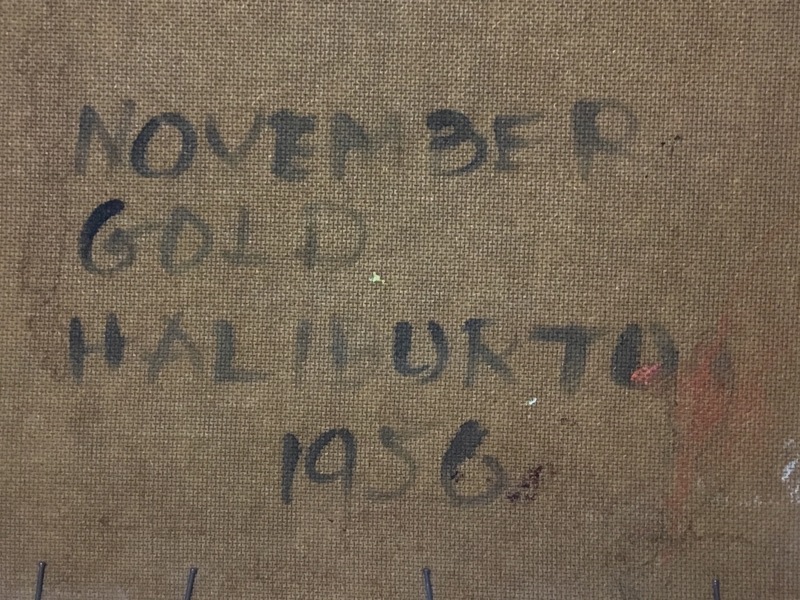 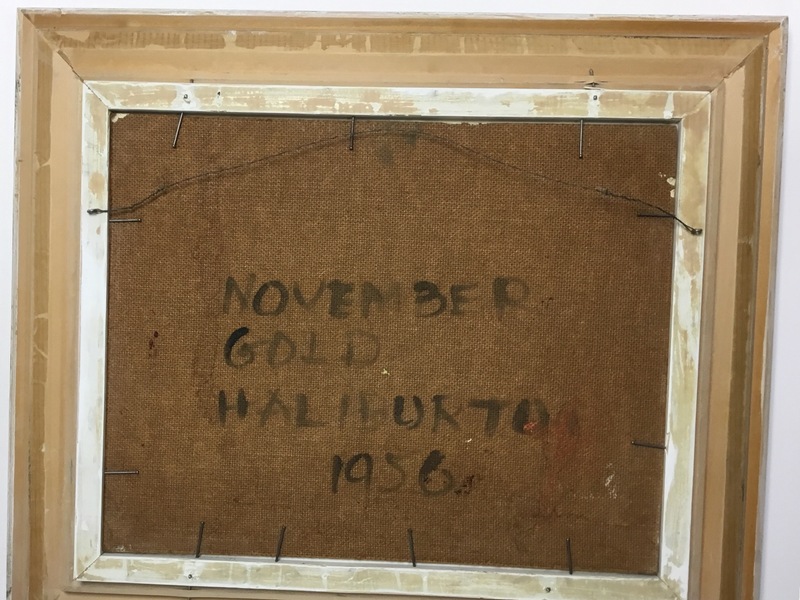 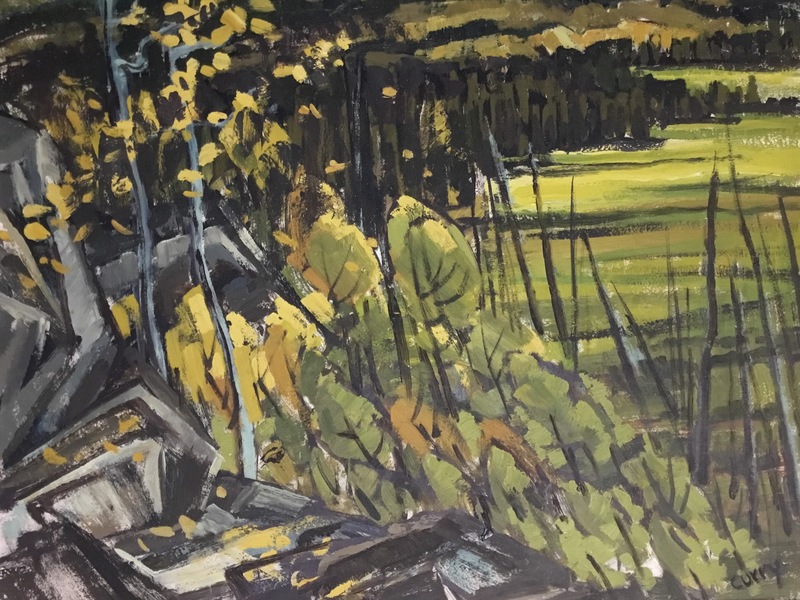 November Gold, Halliburton 1956. 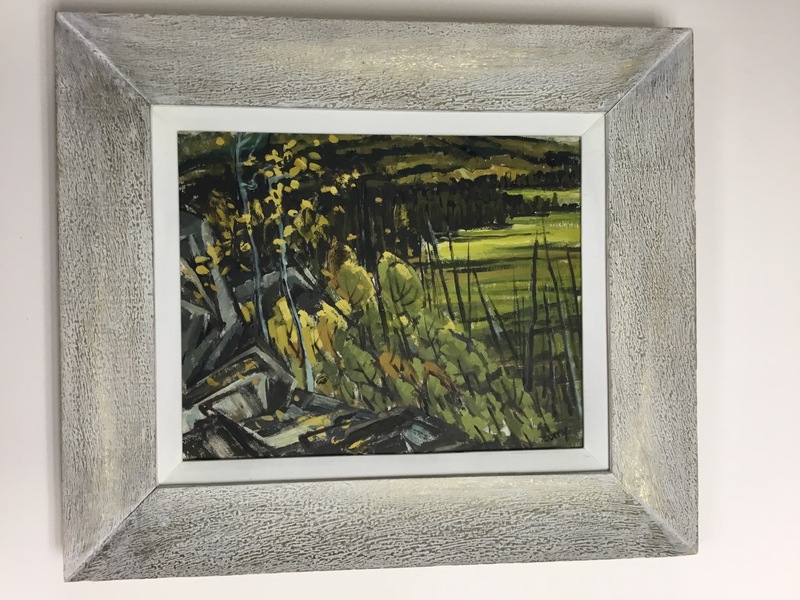 Outer frame size 18.5” x 21.5”.